Combine first 4 ingredients in a large, heavy saucepan. Stir over low heat until the sugar is dissolved. Wash down the sides of the pan with a pastry brush dipped in warm water. Bring to a boil and boil for 3 minutes. 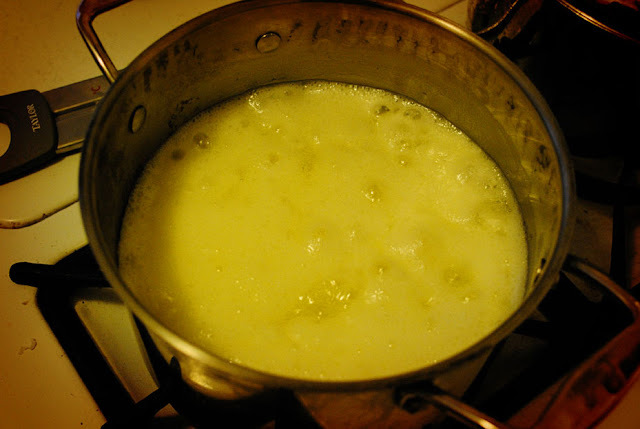 Place a warmed candy thermometer in the pan ad cook, stirring frequently, to about 280 F, the soft-crack stage. The syrup will be light colored and thick. Remove from heat and stir in vanilla (or rum) with a wooden spoon. 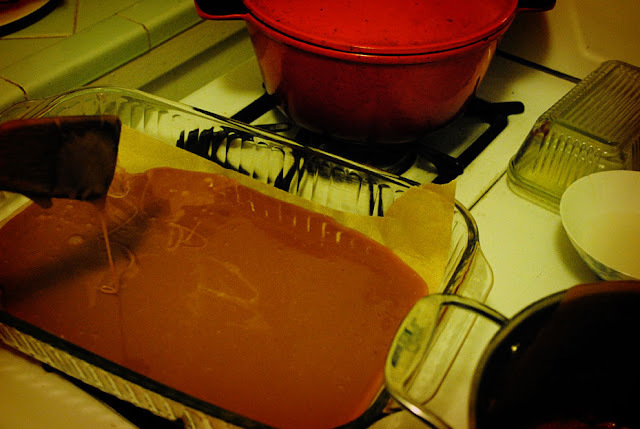 Pour the candy into a silicone or parchment lined 13x9 pan and let cool for 3 minutes. Sprinkle the hot toffee with prepared chocolate. 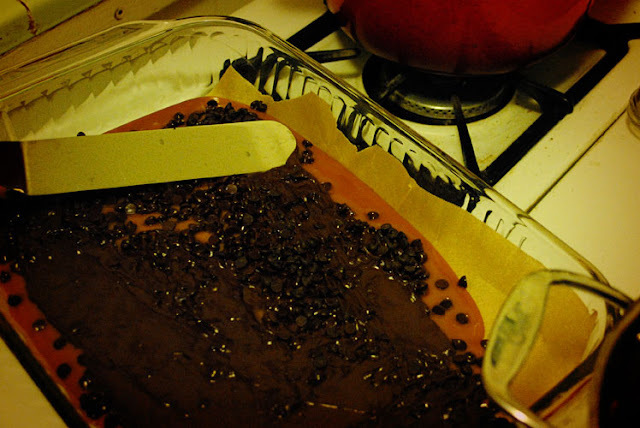 Let stand for 1-2 minutes, then spread the chocolate evenly across the toffee with a small offset spatula. 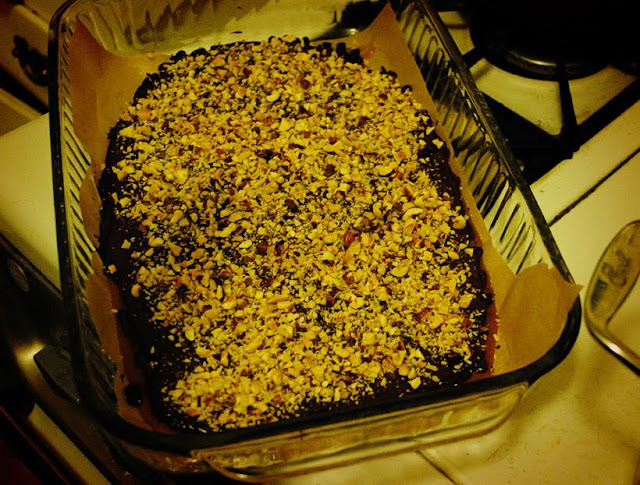 Sprinkle the almonds (I used hazelnuts) on top of the layer of chocolate. Refrigerate for 20 minutes to set the chocolate. Break the toffee into pieces. Store between layers of wax paper in an airtight container at room temperature for up to 1 month. 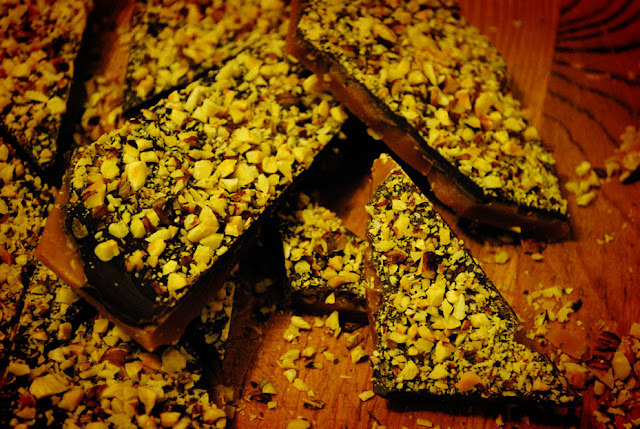 So, my favorite toffee is the kind you get at See's. It's amazing, it's sort of sandy and doesn't get sticky as you chew it. This recipe is probably more on the sticky side, but I stored the leftovers with the fudge and after a day or two, some moisture left the fudge and made it less good, but it totally enhanced the toffee to be just like the stuff from See's. I'll have to figure out how to replicate it without my happy accident, but I will try.